I am writing to invite your club members to take part in the 2019 Exmoor Challenge between Districts 1175 and 1200. Last year the event raised over £1000 with over 100 walkers competing. Rotarians, their families, and friends from Rotary Districts 1175 and 1200 earn points for their District by completing either of two walks. The shield is currently held by District 1200 and has been for a while. The routes will be starting from Allerford Community Hall TA24 8HL from 0800 and passing through some of the most beautiful scenery on Exmoor. Walkers over 18 pay an entry fee of £7. Walker’s under18 enter free, but an adult must accompany them. Dogs are welcome, owners must keep them under control. 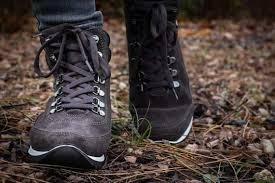 PROPER WALKING SHOES/BOOTS ARE ADVISED. Would you please include this letter in your club bulletin and put the event in your club diary and also please publicise the event as widely as possible to increase the amount raised for the causes.